GBL Tax Services, LLC is a full-service Accounting and Tax firm located in Newnan Georgia and serving all of the West Georgia area. Whether you need Tax Preparation assistance in filing your Tax Returns or need assistance with a Tax Resolution issue, Taxation is our specialty. You can count on us to be on top of the latest tax news and issues. We work hard to provide premium personal service with the professional edge you can trust. Meeting our customers' needs is at the forefront of all we do. With our Enrolled Agent and NTPI Fellow, GBL Tax Services is specially equipped to provide the expert knowledge and resources you need to help your business stay on track at tax time and throughout the year. As a QuickBooks Certified ProAdvisor, we receive the very latest software, support, information and resources necessary to give the very best in outstanding service and support to our QuickBooks small business clients. We make it our goal to provide exceptional service and expertise while at the same time offering extremely affordable rates. Give us a call today for a free consultation! An Enrolled Agent is a federally authorized tax practioner who has technical expertise in the field of taxation and who is empowered by the Treasury Department to represent taxpayers before the IRS. 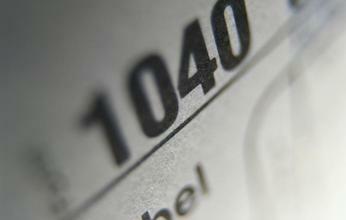 Only Enrolled Agents, CPA's, and Tax Attorneys may represent taxpayers before the IRS.